Alignsat 1.8m antenna offers a fine reflector design with a stretch formed contoured panels, strong back struts ease of field alignment. Alignsat 1.8m antenna delivers exceptional high performance for transmit/receive application in C ,Ku, ka, X band in Tx/Rx 2 port or Rx 2 port with high gain ,low noise and low microwave interference. High G/T, excellent pattern characteristic. 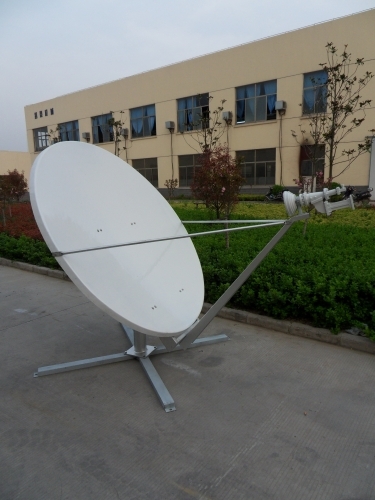 Precision compression molded offset antenna.